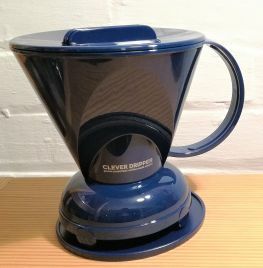 This is the new Blue version of the large Clever Dripper with 500ml capacity for 2 expertly brewed coffees. The name says it - this is really clever! 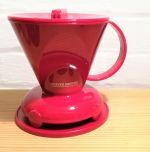 Great fun to use, and a great way of making good coffee. Uses a filter just like the V60 but has a trick up its sleeve. Comes with a handy coaster to collect any rogue drips. Uses Size 4 Filtropa filters - your first 100 are included in the box, but you can also buy them in our accessories section. The Clever Dripper can even be a Cold Brew Coffee option too! 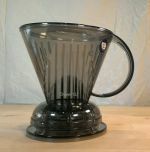 Set the Clever Dripper up as normal but make with cold water: and leave overnight. Then release the Cold Brew Coffee in the morning!